Gorgeous waterfront home with heated pool and spa features 2nd bedroom down with en-suite bath and new roof, interior paint, and LED lighting in 2018. 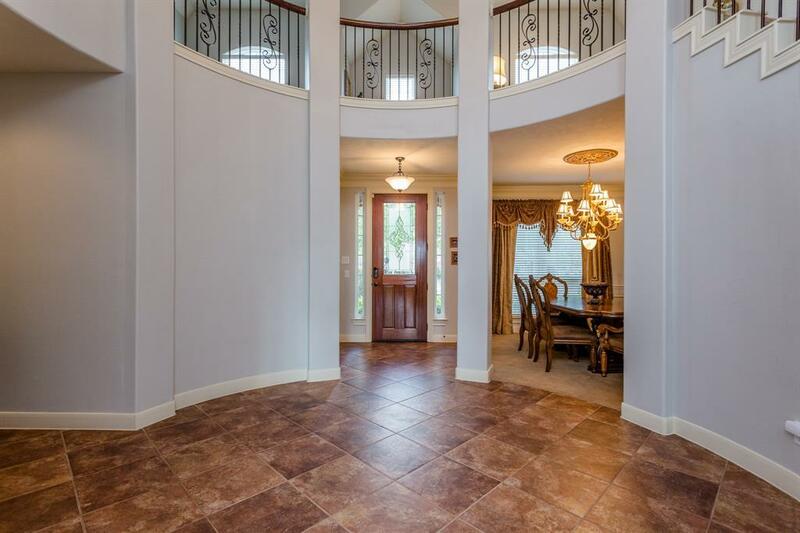 Stunning foyer with rotunda and wrought iron staircase with balcony views leads to a private study with French doors. 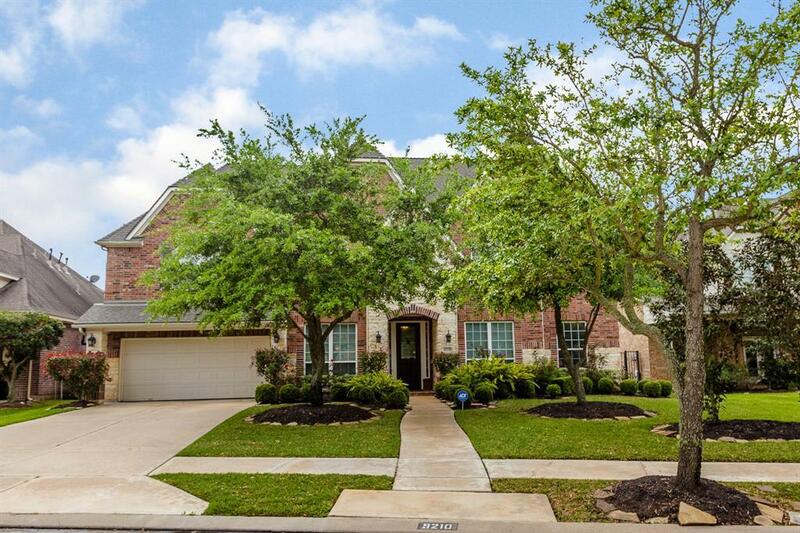 Spacious living room with high ceiling and beautiful pool & lake views includes a cast stone gas log fireplace, tile flooring and opens to the kitchen & breakfast room. Gourmet kitchen with breakfast bar touts 42 cabinets, granite counters with tiled back splash, S/S appliances including recent cook top, microwave, farm sink and nearby butlers pantry with built-in wine rack. Master suite has space for a sitting area & master bath has dual sinks, whirlpool tub, separate shower and huge custom closet. 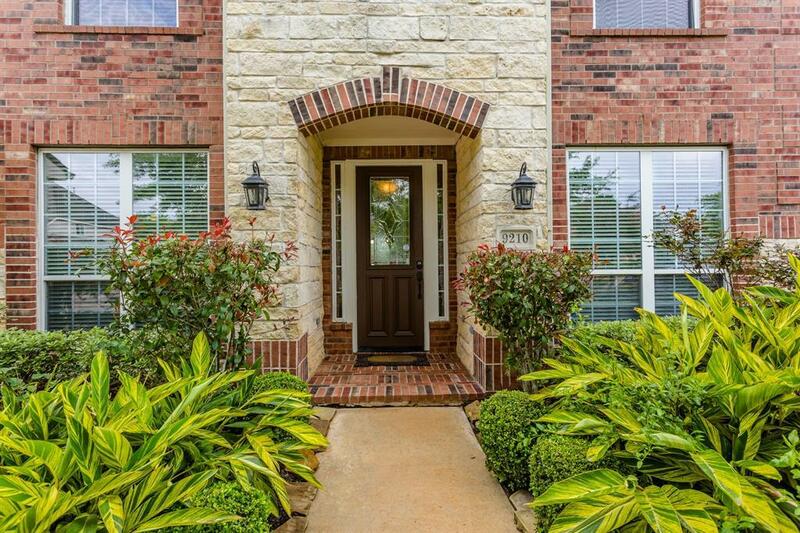 Game & media rooms upstairs with secondary bedrooms and two additional full baths. 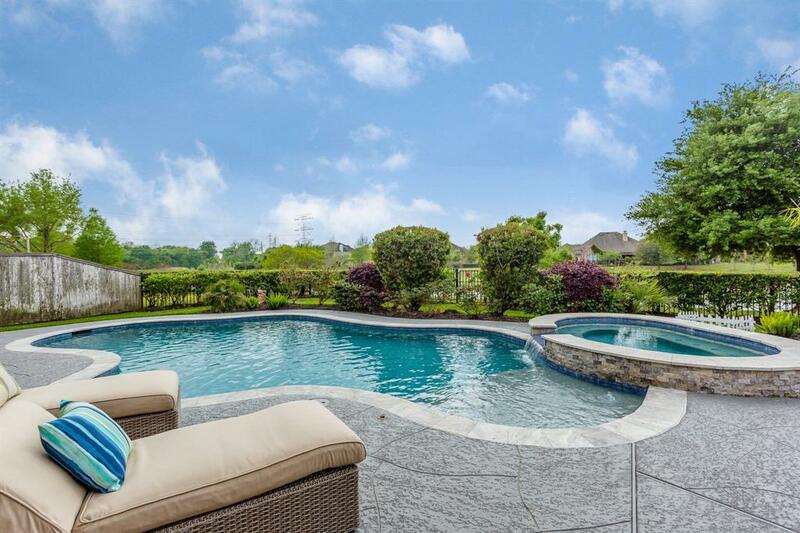 Fabulous backyard oasis has pool/spa, covered patio with custom storage unit, remote controlled sunscreen and gorgeous views of the lake.